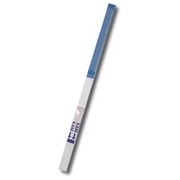 This CLIA Waived Marijuana Drug Test Kit is a one-step system for on-site urine drug testing. With result accuracy over 99%, our cannabis THC drug test is one of the best alternatives to laboratory testing and represents one of the most accurate thc drug test available. Results are almost immediate - presented in five minutes or less, saving you the typical 24 – 48 hour wait by laboratories. We work hard to offer competitive pricing in order to respect all different levels of budgets - our THC Test is the most cost effective at home marijuana test product in the market today. We also offer unmatchable discounts on bulk orders – save more when you buy more, and never worry about the THC drug tests expiring – each cannabis drug test has a shelf life of 16 – 24 months. What is Marijuana - THC ? Marijuana (THC) - Cannabinoids is a hallucinogenic agent derived from the flowering portion of the hemp plant. The active ingredients in Cannabinoids, THC & Cannabinol can be metabolized and excreted as 11-nor- Δ9-tetrahydrocannabinol-9 carboxylic acid with a half-life of 24 hours. It can be detected for 1 to 5 days after use. Smoking is the primary method of use of Cannabinoids /cannabis. Higher doses used by abusers produce central nervous system effects, altered mood and sensory perceptions, loss of coordination, impaired short-term memory, anxiety, paranoia, depression, confusion, hallucinations and increased heart rate. A tolerance to the cardiac and psychotropic effects can occur, and withdrawal syndrome produces restlessness, insomnia, anorexia and nausea. 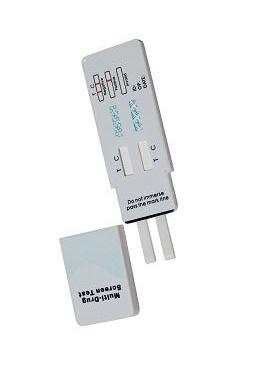 The Marijuana - THC drug test will detect the metabolite of THC (THC-COOH). 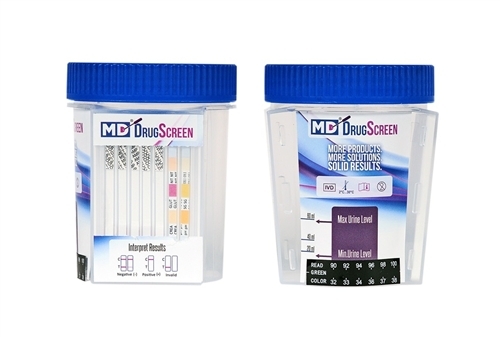 This marijuana drug test is urine based and FDA 510K, CLIA Waived - OTC approved which means it has the highest standards required by the FDA (USA Food and Drug Administration). Is a simple and quick way to detect marijuana and it only takes minutes to obtain results. 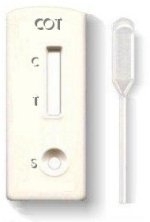 Submerge the clia waived marijuana drug test strip in the urine. 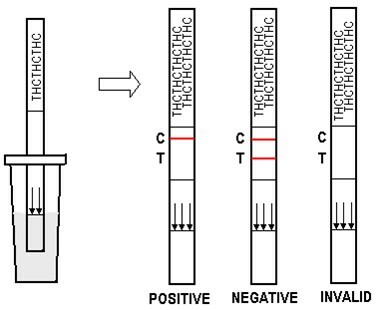 AVOID passing the arrow when submerging the marijuana drug test since this can flood the test and invalidate the drug test. Will this drug test detect marijuana second hand smoking? 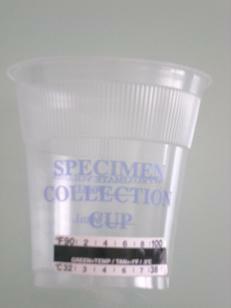 In the U.S. 90% of drug tests are urinalysis tests. 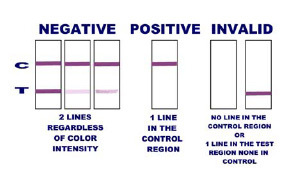 This means that a urine sample is tested to detect drug metabolites. In the instance of marijuana the metabolite is tetrahydrocannabinol, more commonly referred to as THC. If a subject has 50 nano grams per milliliter (ng/ml) or more of THC in their sample, then they will be considered positive for use. Tests verified that even after significant, long exposure to second hand marijuana smoke, a person is highly unlikely to reach 50ng/ml, therefore it was deemed an appropriate floor for determining use. In most cases, you will not test positive for marijuana from second hand smoke. To put it in perspective, a recent study conducted by the Legal Institute of Medicine in Germany examined eight people who were exposed to second hand marijuana smoke in a well-trafficked cannabis shop for three hours. None of the subjects reached a urine THC level higher than 25 ng/ml. Only in instances where the area was so smoke-filled that it irritated the eyes would there be a potential for you to test positive for marijuana from second hand smoke.